After six and a half years at this spot, I’ve decided to pull up stakes and move to a new location. Why? 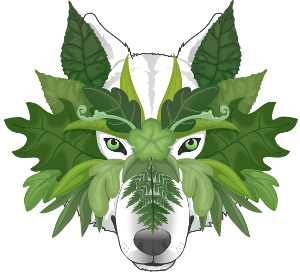 Well, I finally gave my primary website, the Green Wolf, the first major overhaul it’s had in about a decade. Among many other reconfigurations, I opted for a built-in blog as a way to consolidate my online stuff and things. So please change your bookmarks and other links to http://www.thegreenwolf.com/blog/, and title is A Sense of Natural Wonder. As for Therioshamanism? It’ll stay up, archived and available as always. I know there are some posts that I’d like to keep referencing, and I bet some of you have favorites, too. So Therioshamanism isn’t going away completely; it’s just going to enjoy a much-needed retirement while A Sense of Natural Wonder picks up where it left off. You can find out more about the changeover here. And finally, thank you to everyone who has supported my blogging and other efforts over the years, for the comments and discussions and likes and so forth. It’s good to know that someone’s getting something out of my writing here, and I hope I can continue to offer up worthwhile words. Good to centralize. Hope the shift is finding you well. Thank you! Busy as always, but well enough. Will there be a way to subscribe to your new blog by email? Right now the best way to do that is to leave a comment on the new blog and make sure when you do to click “notify me of new posts by email”. Unfortunately, WordPress.org is missing a few of the easy features of WordPress.com and the Follow function seems to be one of them. But leaving a comment with the box checked is a quick fix.